William Szarka and his brother George bought the Enmore Theatre in 1910, and extensively renovated it in 1920 when it was opened by the Premier, Mr John Storey on 1 July. George was killed in a traffic accident in Newtown on October 1920. A string of cinemas followed, which were bought by Hoyts in 1927 and Szarka became a director. The brothers were also boxing promoters, running the Olympia Stadium in Marrickville, which closed in July 1926. In September 1933 he began another boxing venue when he re-opened the National Theatre as the Balmain Stadium. Szarka Bros Ltd was liquidated in 1936. William Szarka was an active member of the local Catholic Church, he and his wife participated in many charitable functions, making the Enmore Theatre available for fundraisers, working for hospitals and local groups. He was named the ‘King of Newtown’ in a fund-raising competition held to assist the Newtown School of Arts and other charities in July 1925. 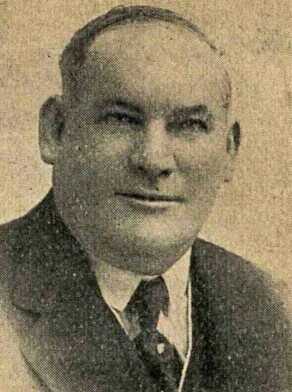 William Szarka was an alderman on Newtown Council in 1914-28, representing Enmore Ward.